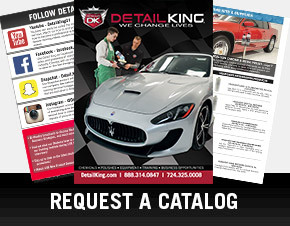 Detail King offers a large assortment of commercial grade auto detailing plastic spray bottles, polish bottles, chemical dispensing systems and plastic spray tanks for car enthusiasts, car washes, detail shops and mobile auto detailing businesses. 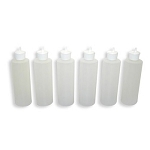 The bottles you purchase at the dollar stores just will not hold up and will easily crack and leak. 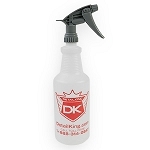 Our spray bottles for car washes and auto detailing purposes are of the highest quality and most display the proud name and logo of Detail King! 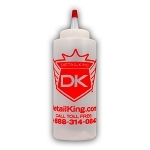 Show your professionalism when performing your detailing services by using the very best plastic quart bottles and polish bottles in the industry available here at Detail King! 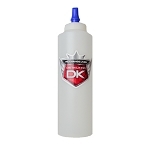 If you really want to save time and save tire dressing you really need to take a look at our 1 Gallon Plastic Tire Dressing Spray Tank. 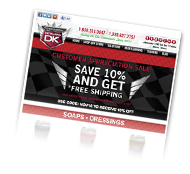 Dress and condition tires without any over-spray and only use 2 squirts of tire dressing per tire instead of 10 or 12 squirts that you would normally use with a plastic spray bottle. 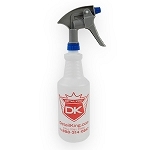 These Commercial Spray Bottles with our Big Blaster Sprayer, give you the detailing edge! 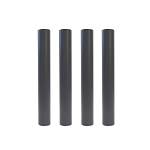 The Big Blaster has the highest out put amount in its class, and is highly chemical resistant. 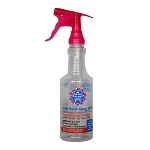 This commercial grade Plastic Spray Bottle comes with a pour lid, which is used for thicker content products like our Black Cherry Car Wash Soap and our Carpet Cleaner & Upholstery Shampoo. 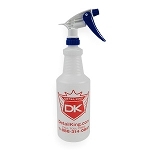 This commercial grade Spray Bottle can be used with either a sprayer or pour lid, to dispense your favorite chemical product. 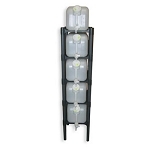 This 5 Gallon Dispenser Rack package has everything needed for you to keep your shop organized & running at optimal performance. 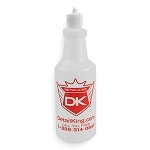 Easily organize all your products, and be able to refill your auto detailing bottles. 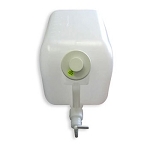 This 5 Gallon Dispenser Container has a "B" style faucet, perfect for dispensing your favorite auto detailing chemicals. This container dispenses automotive cleaners, degreasers, and dressings. Also, this will fit perfectly in our dispensing rack. 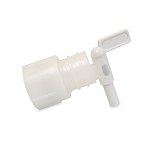 This Replacement Faucet For 5 Gallon Dispenser is a "B" style faucet, perfect for dispensing your favorite auto detailing chemicals. These 11 Inch Space Station Legs will elevate the bottom of the rack so the last tank can be used for dispensing! Get the most out of your space station rack, and receive more storage room.